Families for Orphans: Volunteers Needed! Click for a Cause! If you would like to help with orphan ministry... and are not able to donate $$$ at this time... here's a great way you can get involved by just giving five minutes of your time each day. Join our Click for a Cause Corps, and volunteer to give us five minutes of your clicks per day. Your clicking can help more people find out about our work with orphans around the world! Google and other search engines like websites that have a lot of traffic. Your clicks on a regular basis can help us build that traffic, and help others find our mission to orphans. You can also help us by giving us feedback on our website and blog. Did you find pages that do not work properly? Maybe you found a page that doesn't make sense to you. Your feedback will be gratefully received. Volunteers of all ages are welcome! No one is too old or too young to help! As a volunteer, you will visit our website and blog, and click through the pages and photos on our website about our ministry to orphans around the world. 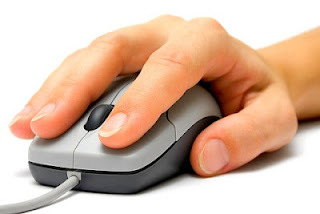 We will give you periodic updates about the number of clicks we are generating. In the future, we hope to organize some "clicking competitions" and award small gifts for special accomplishments by volunteers. So PLEASE JOIN NOW and GET CLICKING to help orphans around the world! Just complete the form below to volunteer for the Click for a Cause Corps! We will email you information about you can get started!